For the master bedroom floor, Regan bought plywood panels from Home Depot and turned the wood distressing process into a family affair. "Libby and I were in there with protective headphones just banging away," he says. "We distressed it, stained it, and sanded it down." 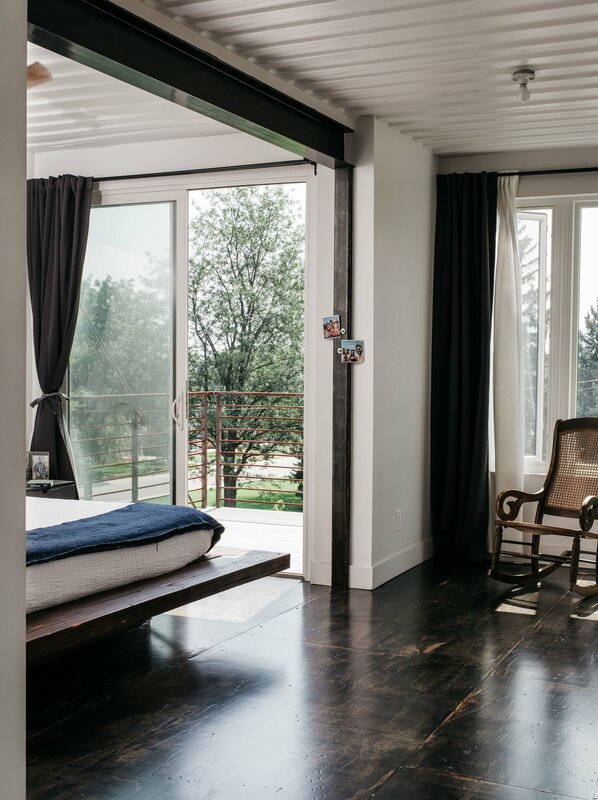 The bed is made out of a piece of wood Regan salvaged from an abandoned bridge.